Montreal and mosaics: two things I love! A few weeks ago I went to Montreal (a city that I absolutely adore) to take my first mosaic workshop at a great little studio called Mosaikashop. After years of just doing my own thing and only working in stained glass, I think I had kind of stagnated. So this workshop was exactly what I needed – new tools, materials, techniques, and ways of looking at and approaching my work. It was kind of intense – I’m not sure I’ve ever worked that diligently on one piece in such a concentrated time period. And my body (and mind) definitely felt it. I had a sore neck and shoulders, but worst of all was my hand. A whole day of cutting and nipping really took its toll! 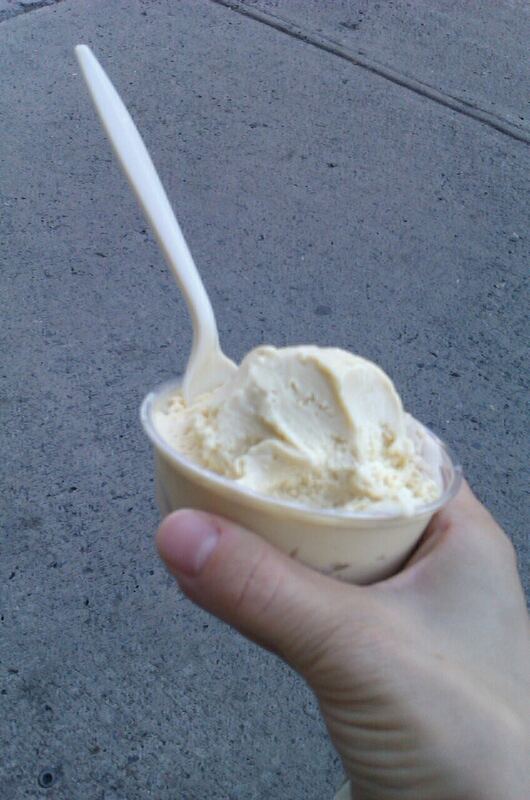 But being the resourceful girl that I am, I found a good way to ice it: holding a bowl of ice cream! A scoop of salted caramel and one of balsamic vinegar are just what the doctor ordered! 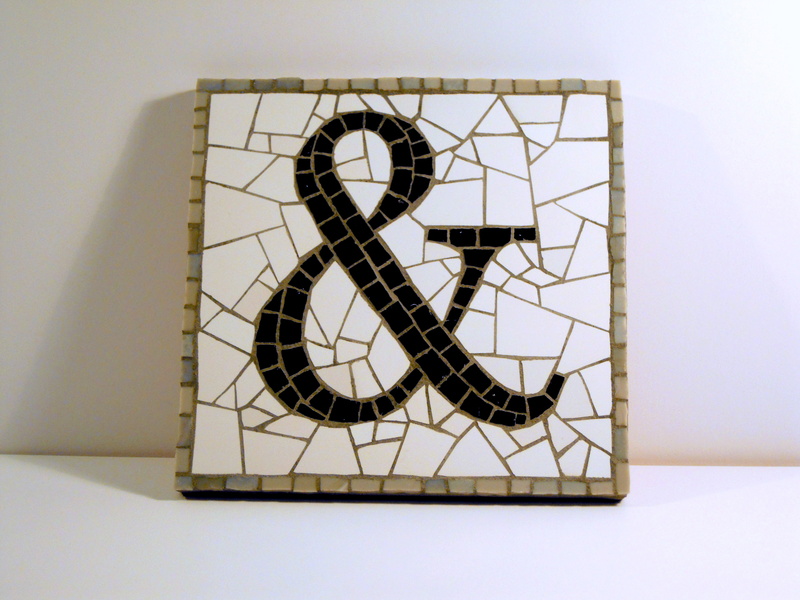 Over the course of the weekend, I worked on an 8″x8″ mosaic, the design of my own choosing. I’m sure glad I chose a relatively simple design, otherwise there’s no way I ever would have finished! All in all, I’m pretty pleased with the way it turned out. Sure, there are some things that I would fix, but for my first time working with tile and smalti, I think I did OK! Actually, based on this little mosaic, I think I’d like to work on a series of mosaics based on typography (this is just one of many ideas I have bouncing around in my head).